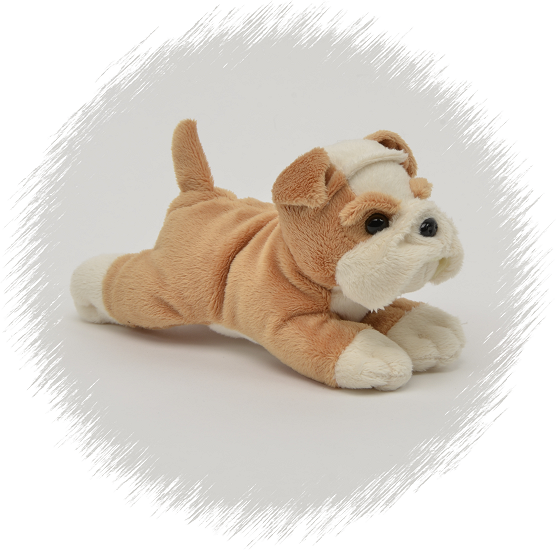 There won't be any chewed up slippers from this adorable little stuffed bulldog being part of your family. You will love this Handfuls plush bulldog's soft tan and cream fur, cute wrinkled brow, floppy jowls, bent-over ears, black nose, and sweet brown eyes. This little bulldog stuffed animal is the perfect size for take along adventure and will definitely be a friend for life! This adorable little Handfuls plush lizard has soft blue fur, yellow tummy, and fun felt tongue. This adorable little Handfuls plush black cat has soft black fur, wild whiskers, and sweet brown eyes.